…another excellent event coming up at Flatpack Festival. 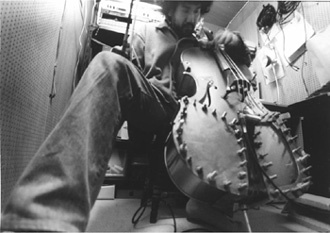 This Thursday 25th March at IKON Eastside, Flatpack will be screening ‘We Don’t Care About Music Anyway’, a portrait of the Japanese experimental music scene with a performance from Sakamoto Hiromichi, an intriguing cellist who also uses voice, musical saw and an array of instruments to craft beautiful, and always surprising, pieces. I’m personally hugely excited, having discovered him through his collaborations with sound artist Haco. Tickets are available here, and there will also be opportunities to donate to the Red Cross at the event in the wake of recent events in Japan.